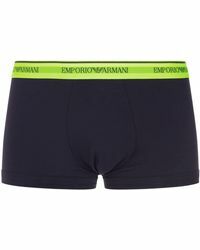 Italian label Armani is a super brand with lines in sportswear, home decoration, cosmetics, accessories, couture and ready-to-wear for men, women and children. Established in 1975 by designer Giorgio Armani, this luxury label is known for clean lines, intricate details and premium fabrics. 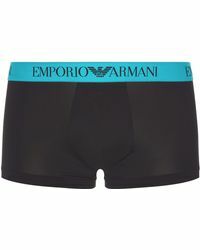 Exuding classic European chic, men's Armani beachwear is simple, vintage-inspired and effortlessly stylish. 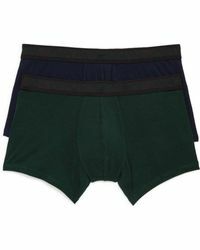 From fitted trunks to loose shorts, these timeless styles will be relevant for years to come.